CBT Holidays is one of Australia’s leading tour operators to China and countries across Asia. Experienced and dedicated staff are experts in international travel and arrange impressive itineraries and fully-inclusive packages so that your journey is an unforgettable and amazing experience filled with treasured memories. CBT Holidays’ touring program allows you to immerse yourself in the moment, relaxed and confident that every detail has been taken care of including international and domestic flights, superior accommodation, knowledgeable bilingual guides, exceptional dining and safe transportation. CBT Holidays offers group tour departures (minimum two persons) all year round at competitive low prices. Groups are generally 10-20 people, but each group is limited to 25 people (premium tours are limited to 16). Throughout your travels, you have the services of an English speaking national guide whose priority is y`our care and comfort. 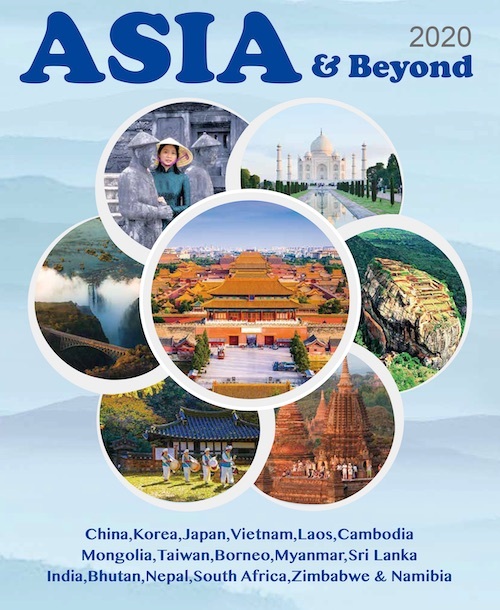 In addition, in each city, another guide will complement your holiday with personal insight and in-depth commentary of local sights, culture and traditions. Fully-inclusive tours offer you a unique travel experience with maximum enjoyment and value for money. Everything is organised so you can be confident in knowing your travel arrangements have been planned by experts. CBT Holidays can also advise and arrange specific itineraries to cater for your individual travel needs, including chartered, educational and incentive group tours. All you have to do is relax and enjoy the highlights of each day. CBT Holidays strives to provide professional travel service and the best quality and value package tours. For those who prefer to be exclusive and travel as a private group, CBT Holidays can meet your needs with one of our regular departure itineraries departing on a date of your choice. This option is ideal for groups of friends, families and clubs. People who ordered Asia & Africa Tours; Europe Cruises also ordered the free travel brochures below. Click on the images to find out more about these brochures.